With this correlation in mind, and with the support of the Florida Legislature, the Florida Department of Agriculture and Consumer Services assumed responsibility of Florida’s school nutrition program two years ago. We believe that by aligning our school menus with Florida’s harvest seasons and establishing relationships between schools and farms, we can direct more locally grown, fresh produce to Florida’s school cafeterias. While we have made great progress in directing more locally grown, fresh produce to Florida’s school cafeterias, we discovered the most difficult challenge is getting the healthy menu items the last 18 inches, the distance from the tray to the mouth. To eliminate that 18-inch gap, we turned to a tool familiar to students: social media. We partnered with Nutrislice to develop an app for tablets and smart phones that features detailed school breakfast and lunch menus. 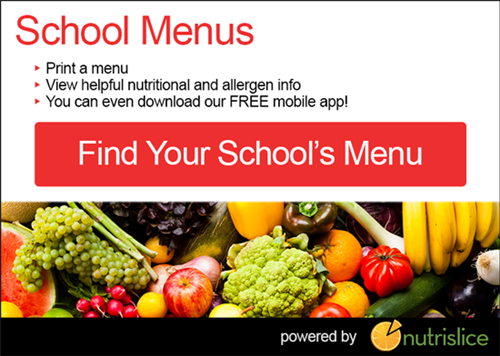 The Nutrislice app is more than just a digital version of the school lunch menu—it is an interactive tool that provides nutritional information, opportunities to rate menu items, and even allergy alerts. We’re also using social media technology in the cafeteria to encourage students to make healthy choices. We partner with schools to host lunch-time competitions and boost consumption of healthy foods. Students are divided into teams and challenged to try the produce item of the day. Staff or volunteers can track the points using an app on a smartphone, and the scores are streamed live on a display in the cafeteria. The real-time scores drive more and more students to put their team ahead by trying the healthy item. Preliminary results show these competitions increase consumption of healthy items and significantly reduce food waste. I recently officiated one of these competitions at an elementary school in Orlando, where first-graders, boys against girls, competed to see how many students tried fresh strawberries. The girls won, but nearly everyone tried, and finished, their strawberries. I encourage you to download the Nutrislice app to learn more about what your kids are eating in school. The food and the menu are not what they used to be.